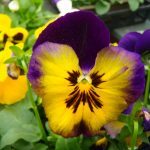 Pansies and violas are a great additions to your fall or spring gardens – they’re one flower that thrives in cool, wet weather. There’s no better treat in the garden than seeing their bright, cheerful faces boldly confronting our unpredictable spring weather. Until the 19th century most people considered pansies to be weeds. 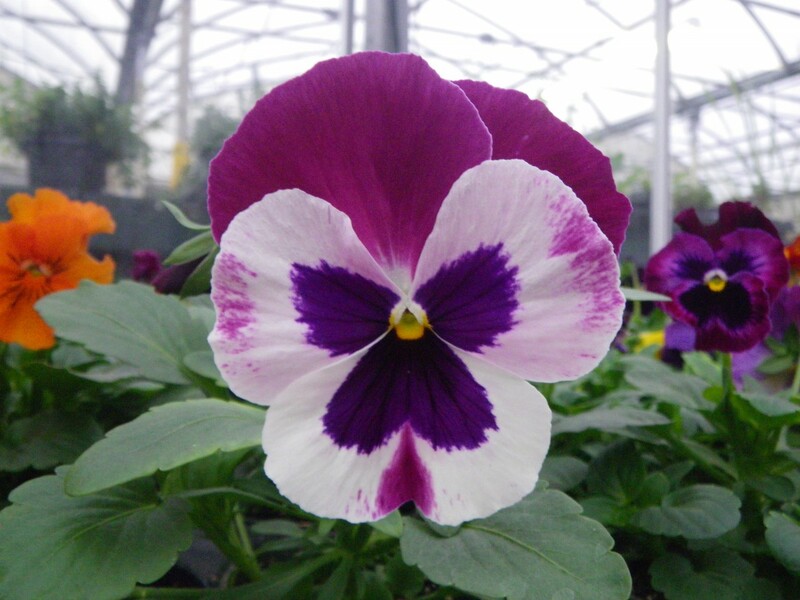 Today’s pansies are a hybrid plant cultivated from pansies growing wild in Europe and western Asia. 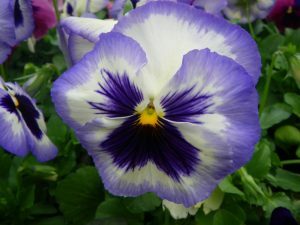 Much of the collection and cultivation of pansies can be attributed to plantsmen and women in Europe more than 200 years ago. 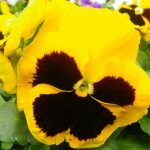 Garden pansies (Viola x wittrockiana) are a mixture of several species, including Viola tricolor. 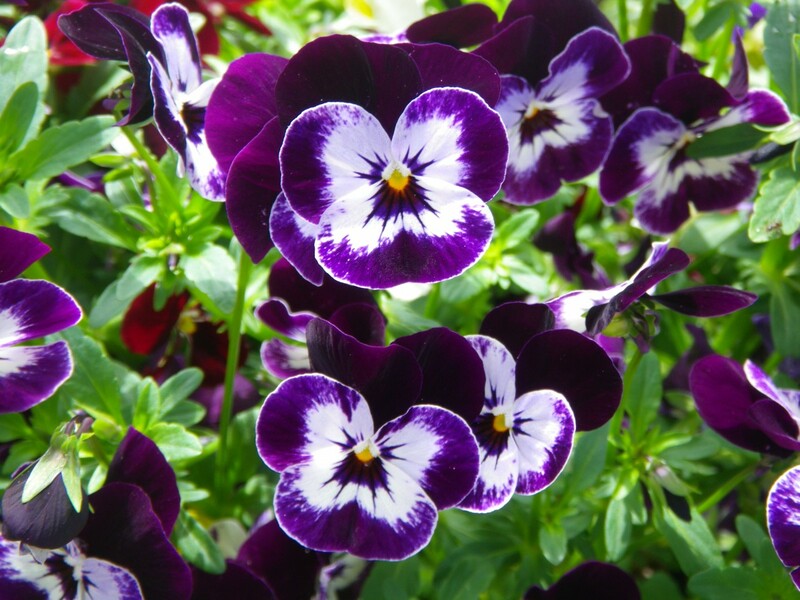 Oftentimes the names “pansy”, “viola”, and “violet” are used interchangeably. 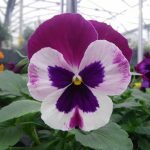 The American Violet Society classified pansies as having large-flowered blooms with two slightly overlapping upper petals, two side petals, and a single bottom petal, with a slight beard in its center. 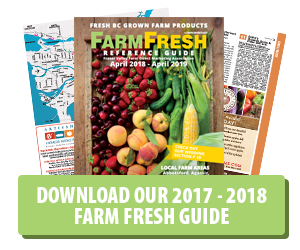 Most pansies fall into a few categories: large (3 to 4 inches), medium (2 to 3 inches), multiflora (1 to 2 inches) and a new category of trailing pansy. 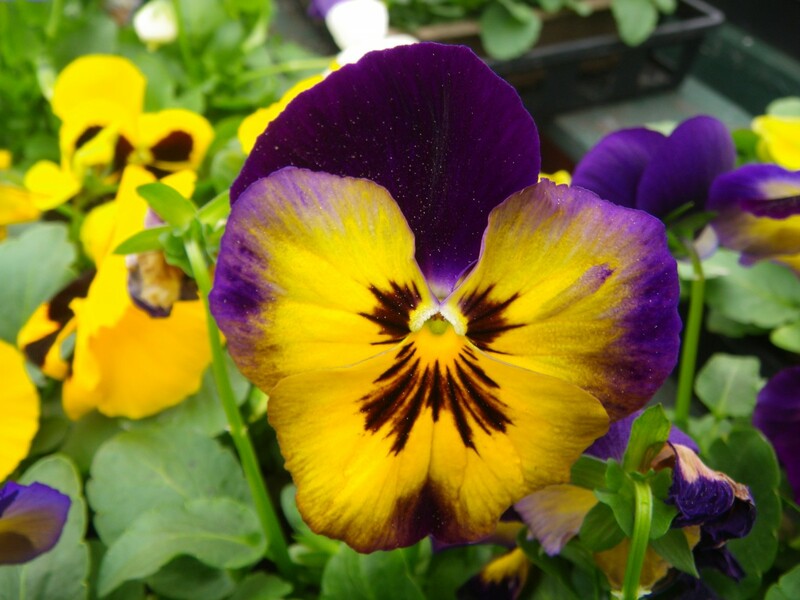 Pansies are considered annual bedding plants, used for garden decoration during cooler planting seasons. Violas, especially will overwinter after a mild winter and bloom profusely all spring until the heat of summer proves to be too much. 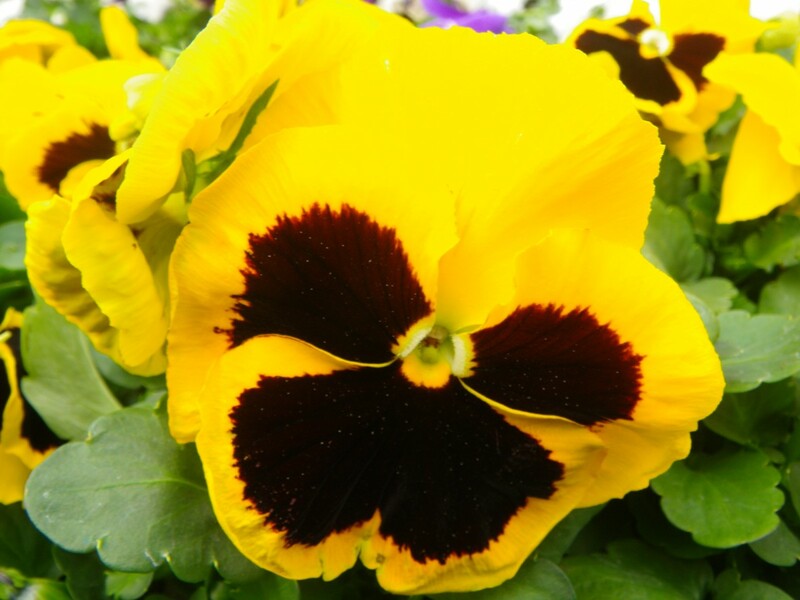 Pansies come in a rainbow of colors: from crisp white to almost black, and most all colors in between. 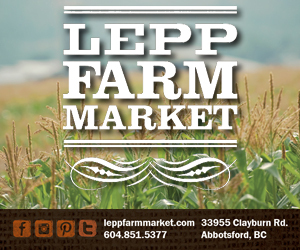 They are also a great addition to your spring or fall vegetable garden as they are edible and pair well with lettuces. They can also be candied and used to decorate sweets or other dishes. 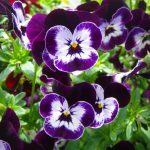 Today’s garden pansy varieties can fill any sunny space – large or small, hanging overhead or growing underfoot – with soft fragrance and happy blooms.